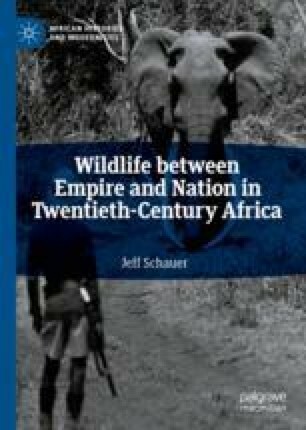 This chapter examines the interplay between neo-colonialism and African states’ efforts during the 1970s and beyond to nationalize wildlife sectors. In the 1970s, the World Bank became an important funder of wildlife development, working to strengthen states’ capacities while limiting their lateral movement, a position which changed by the 1990s. One result was a controversial merger of Kenya’s wildlife departments, generating an explosive debate about corruption, nationalization, and expatriates, involving administrators, conservationists, parliamentarians, journalists, and citizens. Amidst corruption debates, global conservationists sought to persuade Britain to intercede with the Kenyan government, but commercial ties made Britain reluctant to do so, although it could not avoid entanglement when the Kenyan state worked with conservationists to support the continued presence of expatriates in the 1980s wildlife sector.